Lifelines: Music by Jason Kao Hwang; Poetry by Lester Afflick, Patricia Spears Jones and Davida Singer. Musicians: Deanna Relyea: voice, Piotr Michalowski: sopranino saxophone, bass clarinet, Taylor Ho Bynum: cornet, flugelhorn; Andrew Drury: drum se; Ken Filiano: contrabass; Jason Kao Hwang: violin. Words of Our Own: Music by Jason Kao Hwang; Poetry Lester Afflick, Steve Dalachinsky, Patricia Spears Jones, Yuko Otomo; Musicians: Thomas Buckner: voice; Joe McPhee: tenor saxophone, pocket trumpet; William Parker: contrabass; Sang Won Park: kayagum, ajeng, voice; Jason Kao Hwang: viola; with Vattel Cherry: bass; Marc Edwards: drums. 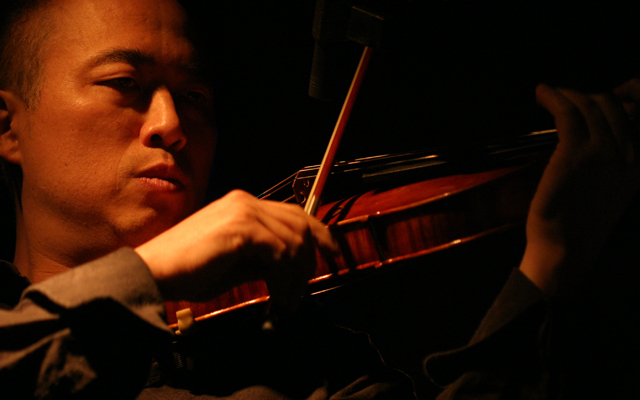 Jason Kao Hwang shares with Webern an ability to craft jewel-like miniatures without a wasted note. The fact that this is music set to poetry makes them even more valuable an addition to the music of our time. Most of these pieces are relatively short. Lifelines is a suite made up of five individual parts. All of these form the music of Voice. The record is so titled because the poetry leads the musicians wherever it will go. The performing challenges are immense, not only in the extreme virtuosity of the music, but also in having to move from the jagged to the lyrical in the blink of an eye. 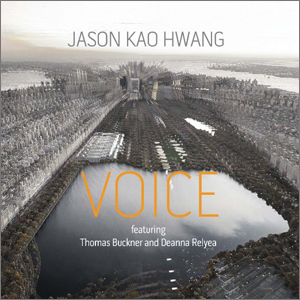 Jason Kao Hwang yields nothing to previous performers of repertoire such as this in penetrating the depth and breadth of emotion that the poetry conveys, and it helps that this is a fabulous recording, allowing the wide range of tone, colour and dynamics to be heard to full effect. The rest of the cast also weaves these contrasting songs into a convincing whole. The pacing here is completely involving, with longer poems/songs acting as points of thoughtful cumulation. Especially moving is the 10th song, over twelve minutes long: the extended lines are sustained with searing intensity and Kao Hwang’s always impressive double stops are seamless and tragic, underpinning the poetry’s resigned devastation. All this can be challenging to perform and Voice not only manages to get the notes it deserves from the wonderful musicians, but also surmount with infinite and lyrical grace and very little hint of strain. Jason Kao Hwang shapes this music very effectively, and obviously has a way when it comes to instilling confidence in the spoken word performers. The programme, too, is well-planned. In ‘Lifelines’ the narration-plus-deep-drone texture may be off-putting for Kao Hwang agnostics. But stick with it, adjust to the music’s metabolic rate, savour the clear but atmospheric recording, and when the music returns, transformed, to close the disc, it feels entirely right.